Farmer, municipal official, MLA (1892-1895). Born in the Municipality of St. Paul in late 1843, son of Henry Bird and Harriet Calder, he was educated at the old St. Andrew’s School. 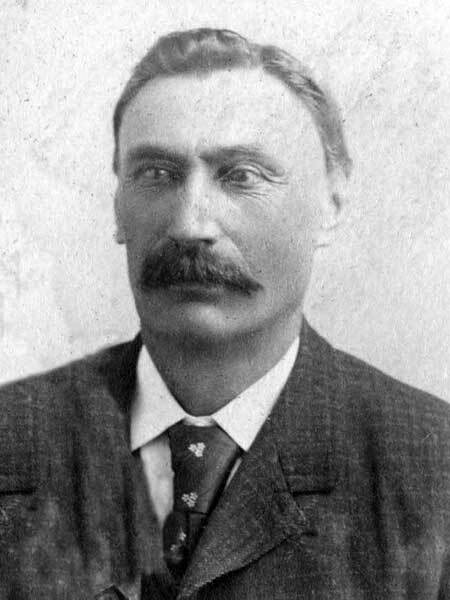 He helped to organize the Norwood School District (1891), served as Reeve of the Rural Municipality of St. Andrews (1892), and was elected MLA for Kildonan in 1892, being defeated by Hector Sutherland in the 1896 general election. In June 1871, he married Margaret Peebles (1844-?) and they had six children: Mary L. Bird (1878-?, wife of ? Foster), Hannah Margaret Bird (1881-?, wife of George E. Patton), Charles C. Bird (1883-? ), Frederick V. Bird, Benjamin Walter Bird (1888-1976), and Rose Alice Bird (1890-?). He died at his farm near Petersfield on 2 January 1933 and was buried in the St. Andrew’s Cemetery. “John J. Bird, 88, pioneer, dies at farm home,” Winnipeg Tribune, 3 January 1933, page 13. Obituary [Benjamin Walter Bird], Winnipeg Free Press, 24 June 1976, page 44. We thank Charles Bird for providing additional information used here.